No pictures in this post, but I wanted to make sure those who read updates via RSS will see this addition. There was a small mapping problem in G-Knee’s original child mesh, which is why I originally made no child recolors of the Well-​Dressed Viking original set. 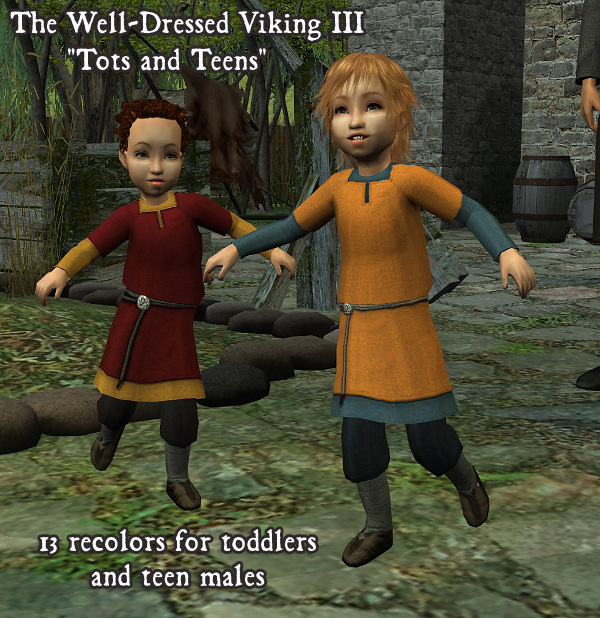 G-​Knee has now fixed the mesh so that the adult texture lines up perfectly on the child, so I did all 13 colors of the Well-​Dressed Viking for children as well. 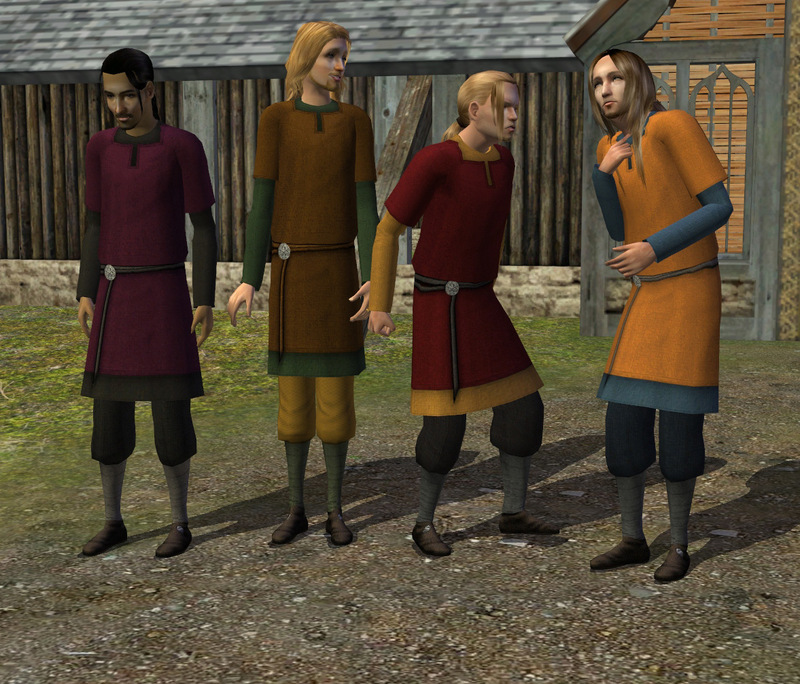 Yes, Well-​Dressed Vikings were all I did this weekend. 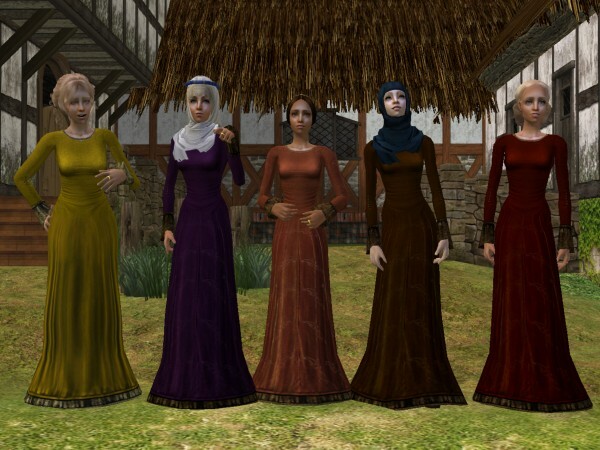 Plumb Bob Keep member G-​Knee made teen, child, and toddler versions of my favorite mesh for medieval men: iamliz’s Russian Viking Tunic. 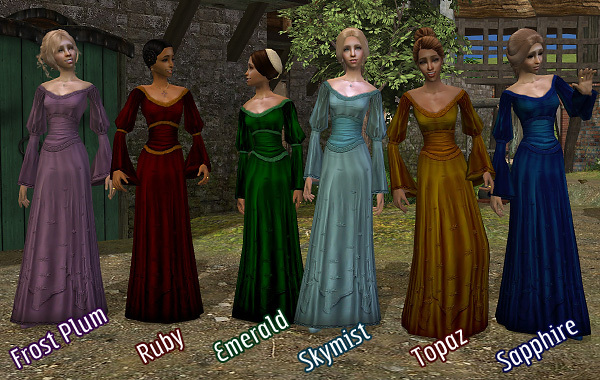 So to celebrate I made us some recolors! 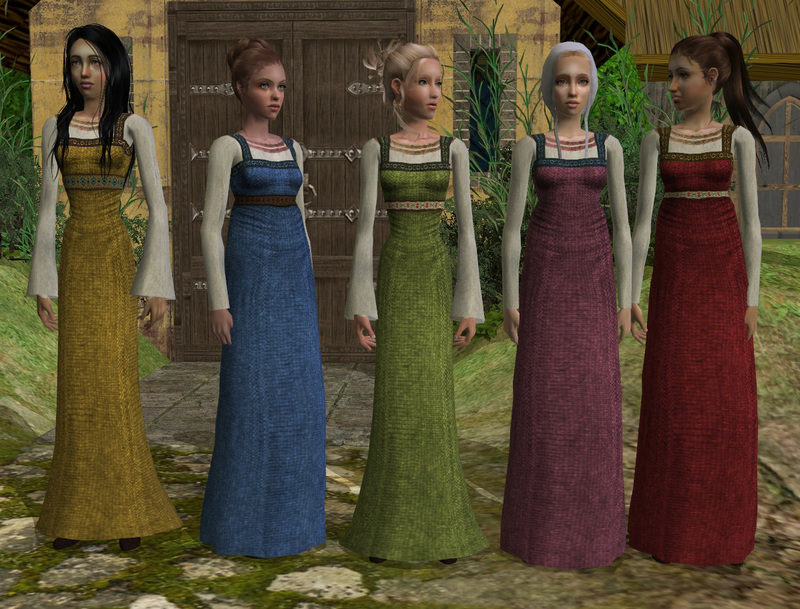 Van heard my plea to have a teen version of this dress, so she kindly whipped one up for us using a snug little mesh from Parsimonious which almost everyone has: mesh_​k8parsftfrengown021605. Thanks, Van! 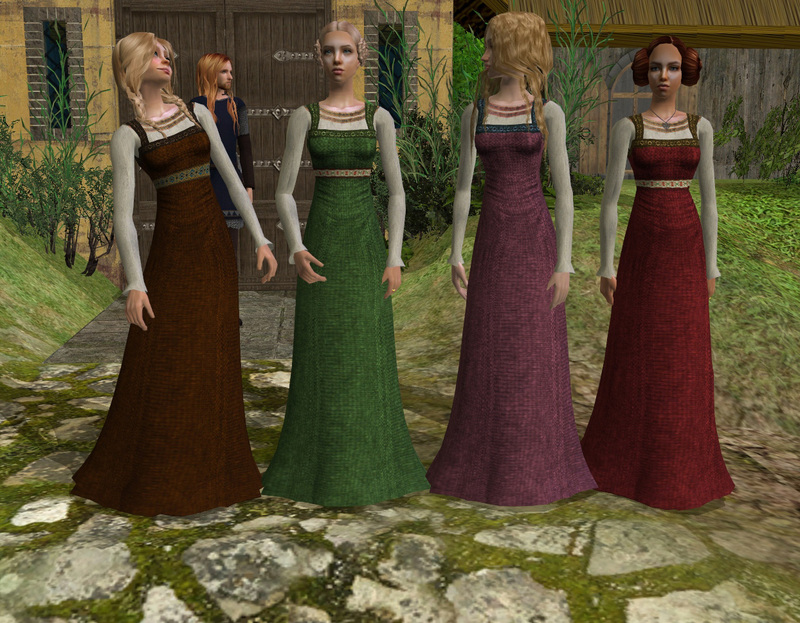 My second installment in the Well-​Dressed Viking Series (yes, it is a series now) is an apron gown and kirtle for the ladies, in nine authentic colors. Click the images for a bigger view. Thirteen color variations of iamliz13’s Russian Viking Style Tunic. 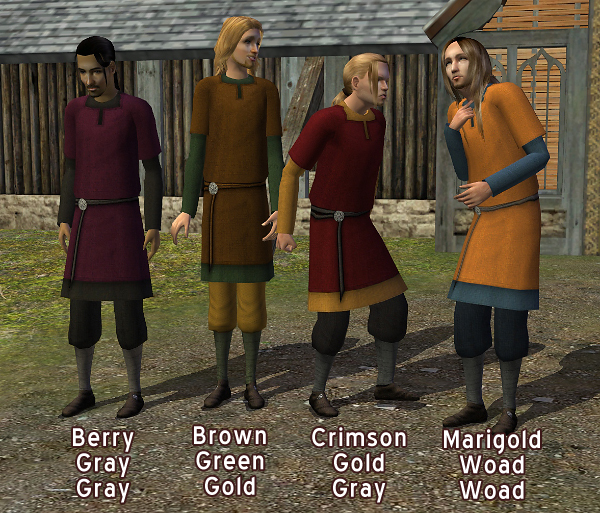 Clothes for the well-​to-​do Viking-​era Norseman: freshly dyed in authentic medieval colors, and in flashy though sometimes ill-​advised color combinations. 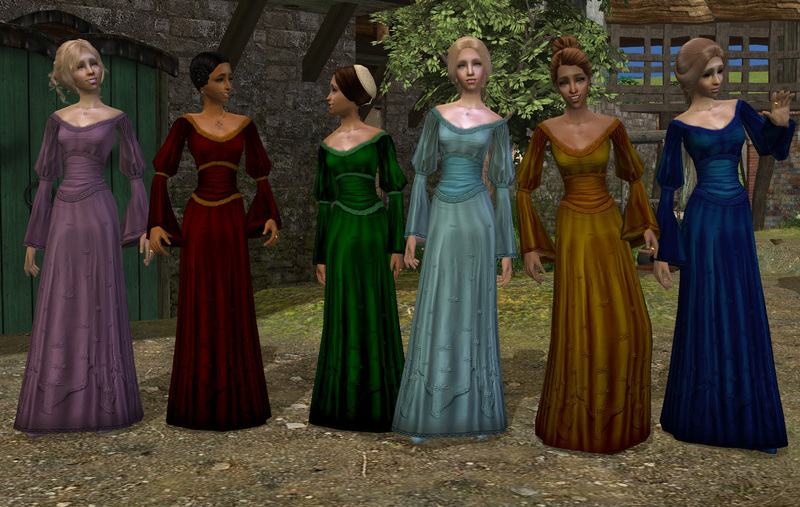 Sherahbim’s “The Lady” gown is one of the best bliauts out there, so I wanted it in lots of medieval colors. There are already other recolors of the original gown, so I made a few edits to the outfit to add variety. I also put it on a different mesh. 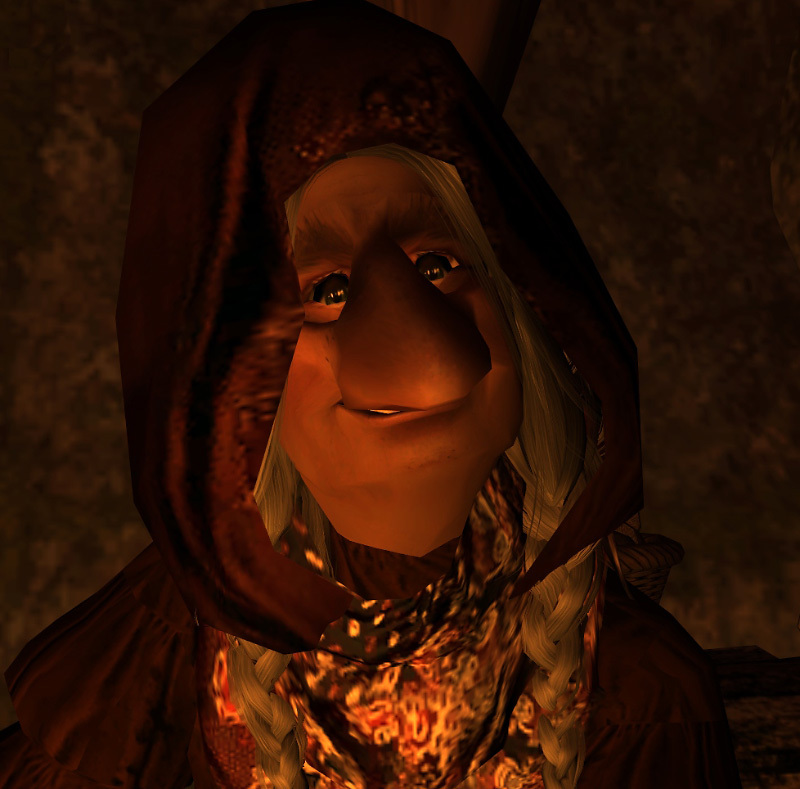 A little old troll mother dwells. 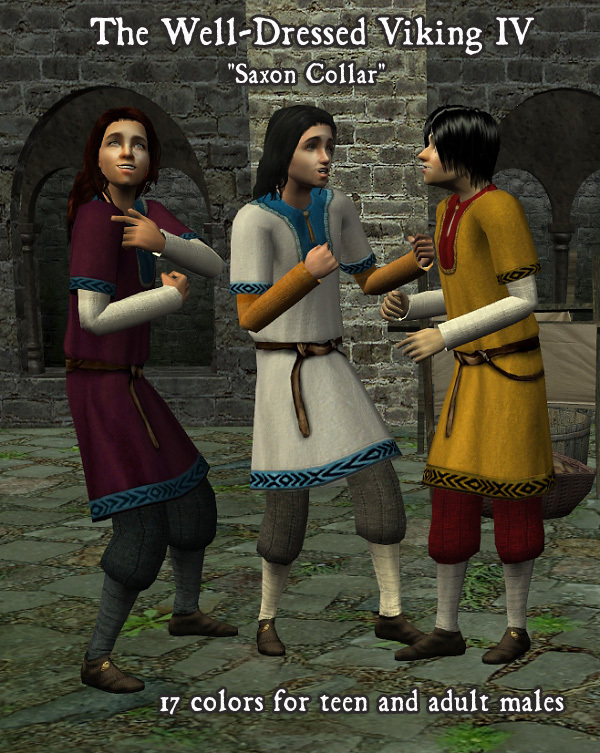 In honor of the first anniversary of The Medieval Smithy I have remixed some classic medieval outfits for Sims 2 men, using some of the more authentic tunic meshes that have been created in recent years.